The City of London Corporation engages and works closely with the government, policymakers, regulators and businesses. Its work includes exploring opportunities for UK businesses around the world. 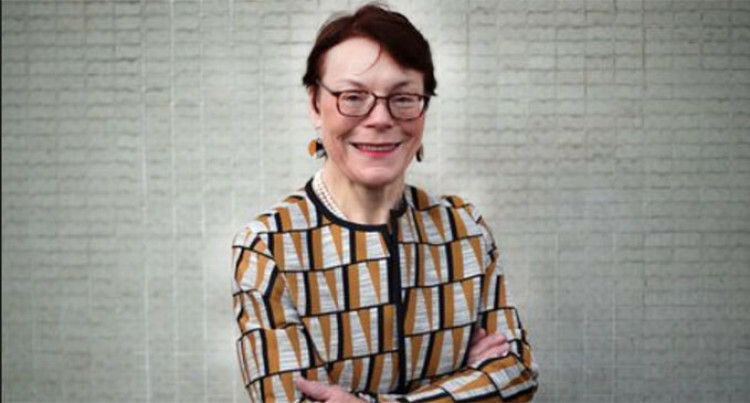 Catherine McGuinness is the chair of the Policy and Resources Committee of the City of London Corporation. “Five years on from its initial announcement, China’s Belt and Road Initiative remains an incredible vision, and a clear area for greater collaboration between the UK and China,” Catherine McGuinness, chair of the Policy and Resources Committee of the City of London Corporation, said via email. She recalled the first Belt and Road Forum for International Cooperation held in Beijing in 2017. That event “truly gained the world’s attention,” and since then several UK companies have paid BRI-focused visits to China to learn first-hand about the opportunities for further cooperation. Late last year, the City of London Corporation’s Green Finance Initiative, in partnership with China’s Green Finance Committee, published a set of BRI green finance guidelines. “The BRI is an ambitious plan, which London, and more broadly the UK financial and professional services sector, can support by being a key hub for international infrastructure investment,” said McGuinness. “Partnerships between UK and Chinese companies will be key in supporting infrastructure development across the region, particularly in terms of projects and initiatives in third countries, where UK and Chinese strengths are complementary,” said McGuinness. The City of London Corporation engages and works closely with the government, policymakers, regulators and businesses. Its work includes exploring opportunities for UK businesses around the world. McGuinness described the BRI as “the project of the century,” which London could support by being a key hub for the financing and professional services required. She said she looked forward to this year’s forum in Beijing and to hearing more about the UK companies’ involvement and successes in the BRI.